I thoroughly enjoyed a posting this week by my friend Bruce Powell from IQ Partners in Toronto titled What To Say (And NOT To Say) When A Headhunter Calls. He gave excellent and practical tips that can be very helpful to people that are either actively looking for their next opportunity, or open to hearing about another opportunity that could be career changing. The post was nice to read because I’ve heard many of the “Don’t Say’s” as well as the “Do Say’s” in recent weeks. After reading the blog, I posted a comment on Bruce’s Posting on LinkedIn and went about my day. Many people do not understand recruitment. By this I mean the business of Recruitment. Recruitment is a business unlike most others. The closest similar business is Real Estate, an agency business where the seller pays a fee. 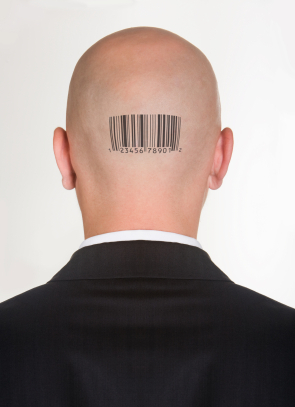 In Recruitment, the buyer (Employer) pays a fee. This means that the Recruiter has a fiduciary business relationship with the Employer. For more information about the business of recruitment, you can read this Wikipedia posting, or this very useful guide from the Association of Executive Search Consultants. The unfortunate thing is that many people who have dealt with Recruiters as candidates feel that they do not get serviced properly by them. Complaints of phone calls unreturned, lack of information updates on the opportunity they were called about, and not getting full and timely information that will be beneficial to them are complaints that can be heard over and over again. And in many cases, these complaints have merit. Excellent Recruiters like Bruce (and myself), try really hard to build solid relationships with candidates and provide them with the best service possible. However, even Excellent Recruiters have room to improve in this regard (I’m talking about myself here, not Bruce). Excellent Recruiters understand that they need to continually work to improve their relationships with their candidates. Recruitment is a SALES business, and the EMPLOYER is the CUSTOMER. So if the employer is the customer, what is the individual candidate? You may not like the analogy, but all you are is INVENTORY. Not only are you inventory, you are like inventory that is on consignment. So, as a candidate, how do you move beyond being seen as only INVENTORY? Following Bruce’s “Do Say’s” is a good start. Can you share examples of how you add value to your relationships with Recruiters? Executive Search: Do CFOs understand the difference between Cost & Value? Recruiter Relationships – Build them before you need them! I have written about whether a CFO (or any executive) needs a Resume in addition to their LinkedIn Profile. I made the point that a resume isn’t always necessary. My friend Cindy Kraft disagreed with me. We can both be right at the same time, can’t we? While LinkedIn Profiles are great for building personal brand and getting attention when looking (or not looking) for a job, there is one key difference between the LI Profile and your resume. Your resume – needs to be updated when looking (actively or passively) for your next role. Your LinkedIn Profile – MUST always be up to date. Why MUST your LinkedIn Profile always be up to date? I will give you insight into something that annoys your favorite Executive Search consultant. Companies hire my firm (Stanton Chase International) to help them hire the most appropriate executive. When working on a mandate, I use LinkedIn (in addition to other tools and methods) to do research on the people that I would like to speak with to see if they are a potential fit for my client. Do you know what happens when I’m looking for someone who could be interesting for my search, yet they are no longer working for the company they say they are working for on LinkedIn? Do you want to make sure you are found when people have an opportunity for you? Keep your LinkedIn Profile up to date. Most people would think that summer is the worst time to hire because people are on vacation and business slows down over the summer months. From my experience, summer is the best time to hire. Executives are spending less time in meetings. They have time do the important things they haven’t had time for the rest of the year; like planning for their human capital needs, meeting with and hiring the key people they need for their team. If you’re an employer – don’t push off your hiring for the fall. Take advantage of the lull to hire the best people for your team. If you’re looking for your next challenge – don’t assume no one is in the office and hiring now. Summer is a great time to network and re-engage with the people that know you, like you and trust you. Have you ever taken advantage of summer to hire or be hired? Focus has its benefits. So does the world of social media. Working in Executive Search, I have focused on delivering human resources of the financial kind to companies for over 11 years now. For the past couple of years, I have put significant time into a sustained and targeted social media effort to let companies (new, current and previous) and CFOs know that I understand them. As part of this focus and effort, companies ask me to help them hire their CFOs, Chief Financial Officers ask me to help them build their finance teams, and Finance Executives reach out to me when they are in between career opportunities. When I speak with CFOs, they ask me for my feedback on their résumé. Although I can say that I have read thousands of résumés in my career, I do not consider myself a résumé expert. From time to time I may have a piece of advice that could make the document more effective, but this is not where I add value to a Finance Executive in search of their next opportunity. On the topic or résumés, I came across a couple of items that piqued my interest recently. 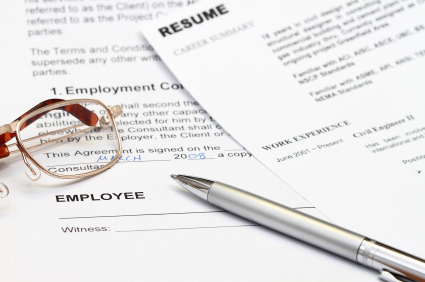 CFO Magazine published an article by David Rosenbaum entitled No Résumés Required. The title interested me. The article was interesting and worth reading, but it wasn’t what I thought it would be about. It did give me the impetus to write this blog piece, so I’m grateful to CFO Magazine for publishing it and to David for writing it. CFOs who are working don’t need a résumé to attract a new opportunity. All they need is a well done LinkedIn Profile. If the person that finds them needs a résumé, they can use their LinkedIn Profile as a base. I’ve interviewed many quality people based on their LinkedIn Profile alone. If a CFO has really done their homework and is visible, marketable and branded, the only time they need a résumé is when they are actively looking for their next opportunity. In essence, there are 2 types of CFOs that can be hired. The Unemployed CFO certainly does need a résumé, because it is (for now, this may change in the coming years) the recognized tool of a job seeker and the people that take employment applications. The Employed CFO does not need a résumé, nor does he or she need to take the time to prepare one. They are not looking for a job. What an employed CFO needs is to have an appropriate Personal Brand developed, which includes, but certainly not limited to, an effective LinkedIn Profile. When I’m looking for CFOs, my research is wide and varied, and is based on the needs of my client. Whether an Employed CFO has a résumé or not is irrelevant to me. What is relevant is their experience. If they have a proper Personal Branding strategy that leaves an appropriate digital footprint, it certainly makes it easier for me and my team to find them. I keep on being amazed every week when finalizing my team’s CFO Moves blog, and finding that CFOs who are being hired have a weak LinkedIn Profile, or none at all. 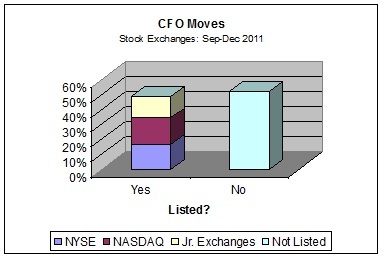 In some ways, it makes me wonder how these CFOs get their new job. (Read: When hiring a CFO, is LinkedIn the place to look? ) It does prove that CFOs get their next career opportunities from various sources, but mostly from people that already know them and trust them. Unemployed CFOs need marketing materials. A solid résumé is still necessary today, in addition to proper Personal Branding. Employed CFOs do not need a résumé. They just need to have a proper Personal Branding Strategy. If a recruiter asks them for a résumé, they can politely mention that they are not actively looking for an opportunity at this time, and would ask them to refer to their (always) current LinkedIn Profile as a substitute. Companies hire people, not résumés. My friend Cindy Kraft wrote a blog yesterday called “Recruiter Relationships“. The topic is near and dear to me, so I had to comment as I couldn’t help myself. You can read my comments on Cindy’s blog and add to it if you’d like. 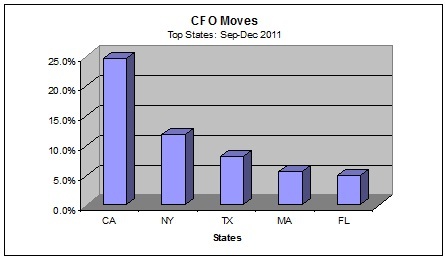 The topic of CFOs and their relationships with recruiters is not a new one for me. I’ve written about it before here, here, here, here and here. What a waste of time for all concerned when recruiters contact CFOs for opportunities that are obviously not a good fit. Which begs the question, who is responsible for ensuring that recruiters can make an assessment based on a crystal clear value proposition and fit for culture? Companies hire recruiters. Recruiters are working a search for a CFO using what they believe is the best approach to help the company hire. If the wrong approach is used for hiring a CFO, it is the company that hires the recruiter that bears the responsibility. If they chose the wrong type of firm for their CFO Search, then it shows that the company may be more interested in factors other than the right CFO for their needs.